It’s always good to see a great-looking show with a good selection of games back, and I don’t begrudge that they tried to do it differently by giving Richard his own, officious character. However, this left a lot going on at once and not all of it worked out. I’m OK with “mins” and “ALIS” (Automatic Lock In Scenario) but there was too much repetition in Richard’s quirks and the rhythm was really strange in places, which is an unusual criticism, but the original series really did have a glorious, fast-paced rhythm to it that this is lacking. Perhaps it’s ever more clear why the original series never did celebrity specials – not only was the selection of celebrities unspectacular, the celebrities thought they were bigger than the show, and had their own gimmicks (and fitness DVD in one case) to promote. Editing the games felt inauthentic; once you spot the timer being played with in the edit once, it’s impossible not to look out for it in the future. It changes the show from “here’s a story about an adventure” to “here’s a story about people having an adventure” – it’s not a show where you see people playing games, it’s a documentary where you see highlights of people playing games, and show is filled with a much weaker filler-to-killer ratio than it should ever have had. 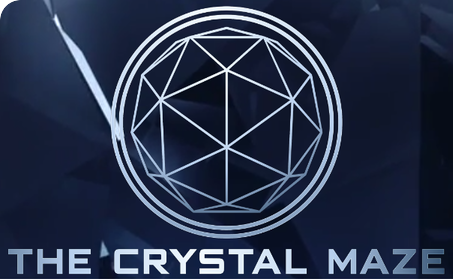 The first series of The Crystal Maze clunked in a few ways (some games totally misfired through being either far too quick or far too slow and dull) but this is clunking in many other ways. Maybe they’ll get the hang of it – perhaps the game will shine through when we get back to civilian contestants, or perhaps it’ll take a second series and a deliberate effort to focus on the game’s strengths.